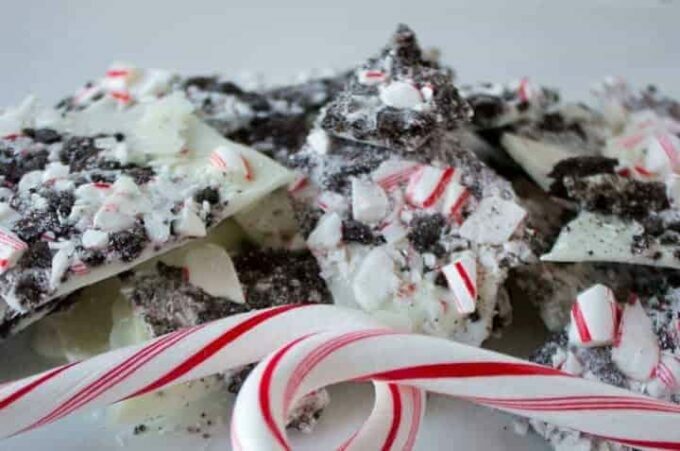 White Chocolate Oreo Peppermint Bark - Only 3 Ingredients & NO Baking! 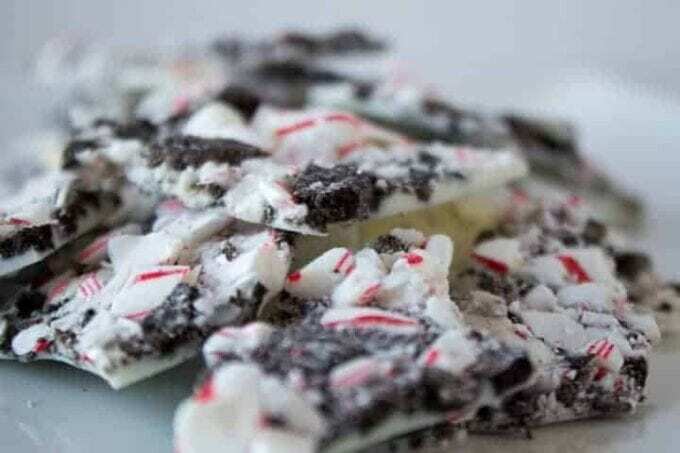 White Chocolate Peppermint Oreo Bark! 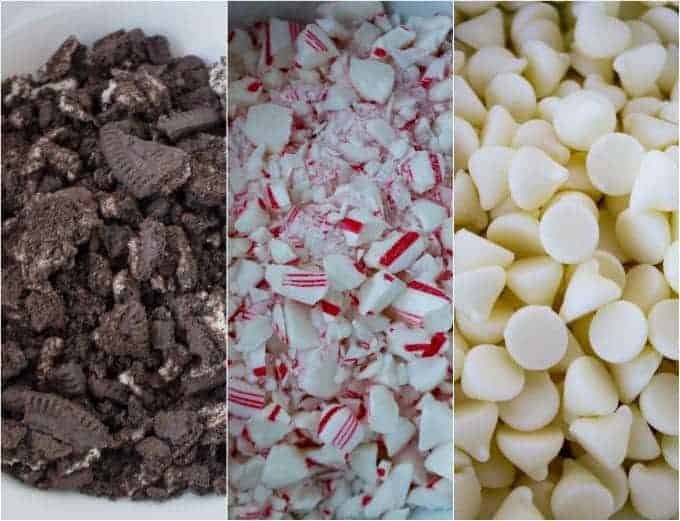 This 3 ingredient Holiday Treat will be your new favorite Christmas Dessert.White chocolate, crushed peppermint candy canes and Oreo’s are all you need and about 15 minutes total to make this deliciously simple Christmas favorite! 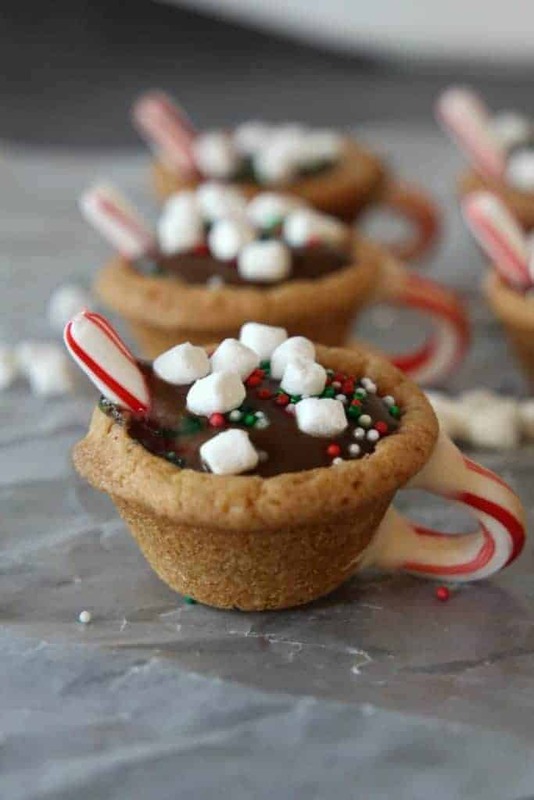 We adore easy Holiday Treats! Candy Cane Christmas Trees and our Peppermint Candy Spoons (perfect for stirring hot chocolate) are among our all time favorites! Chocolate Bark….this is one of my new staples! 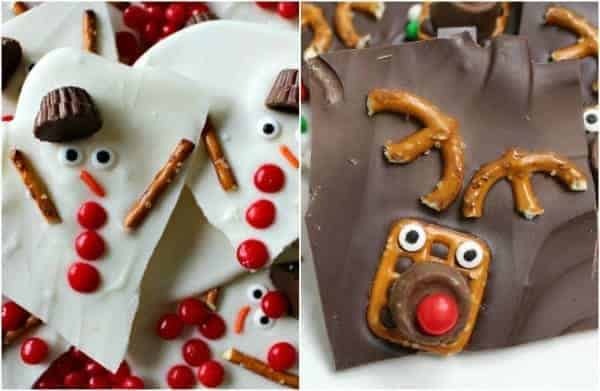 OMG the things you can do with chocolate bark – the possibilities are endless. Milk chocolate, dark chocolate, white chocolate …… crushed M&M’s, Oreo’s, peppermint, graham cracker, marshmallow, coconut – I think I just drooled on my keyboard! This past weekend we made a bunch of chocolate bark, but my favorite was the White Chocolate Oreo Peppermint Bark – let’s just say I may have overdosed on this stuff! Have you ever been to Costco when they bring out their Chocolate Bark for the holiday? I used to buy a box every year and my family would go crazy for it. Then I thought, why buy it when we can easily make our own! I honestly had no idea how easy it was to make! 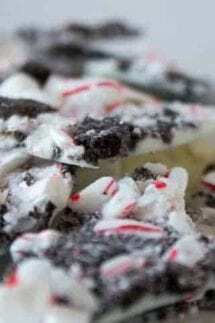 Well, this White Chocolate Peppermint Oreo Bark recipe is almost embarrassing to even call it a recipe. It is more assembling than cooking! I swear, bring this to your next holiday party and people will be begging you to tell them how to make Peppermint Bark. You can use my favorite line – I didn’t really make it, I assembled it! 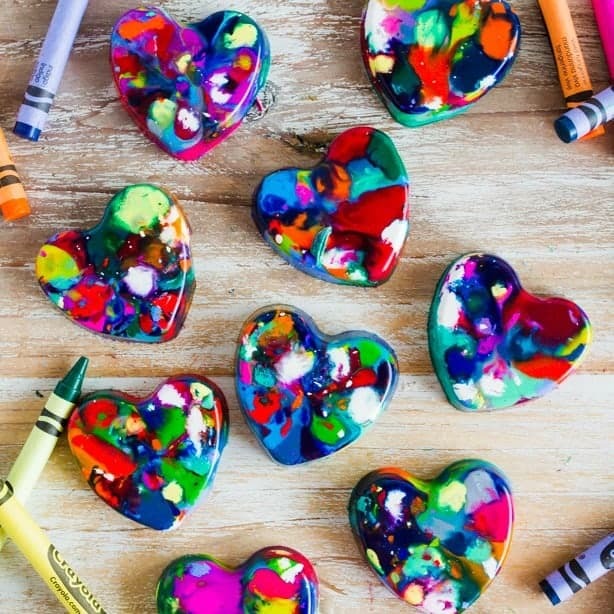 Looking for an easy DIY Christmas gift to give to teachers, mail carriers, hair stylists, etc? Grab a cute holiday themed tin and you will have the perfect DIY holiday gift! This Peppermint Bark is perfect with a steaming hot cup of hot chocolate or even better with a delicious glass of red wine! 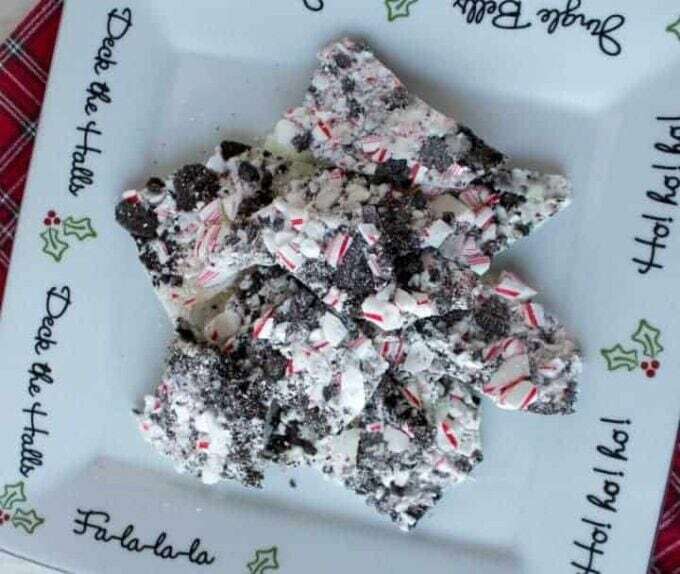 Love this White Chocolate Peppermint Oreo Bark recipe? So what do you need to make my Oreo Peppermint Bark. As I mentioned, not much! White Chocolate Peppermint Oreo Bark! This 3 ingredient Holiday Treat will be your new favorite Christmas Dessert. 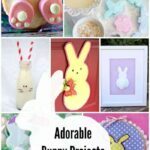 Love easy desserts? 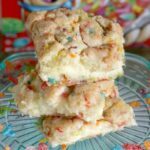 Check out some of our favorite Easy Dessert Recipes! 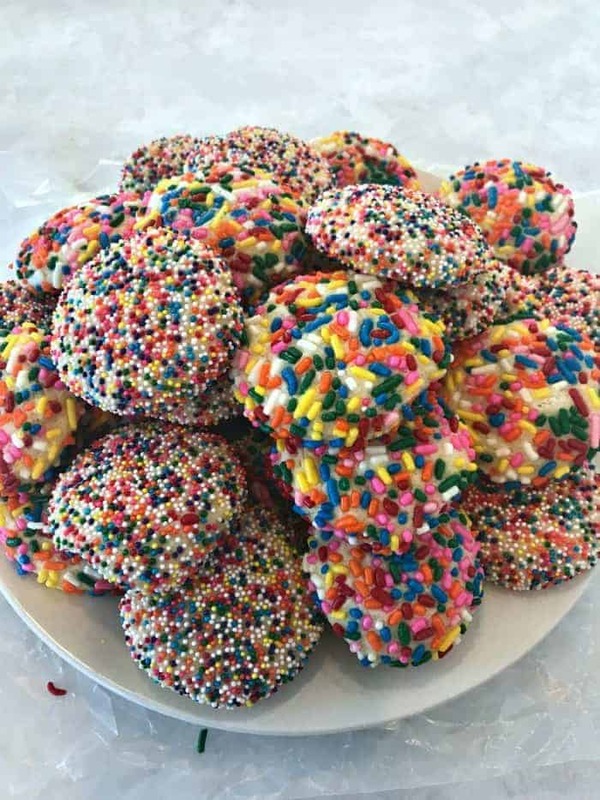 These Rainbow Sprinkle Cookies are an all time family favorite! I agree… endless possibilities. Love this bark.. yum!